Coffee Cake is a staple for many families during the holiday season and Hahn’s coffee cake is the best of the best. Using all natural fresh ingredients and an old family recipe the tradition continues. In 1983 Mr. and Mrs. Hahn retired from their jobs as schoolteachers and began following their passion and baking their crumb cake from an old family recipe out of their kitchen. Soon, much of New York was clamoring for their delicious crumb cake. Today, Hahn’s still uses that same old-fashioned family recipe and only the best natural ingredients. Many people throughout the country can't wait to receive their Hahn's crumb cake at the Holidays.......and throughout the year. 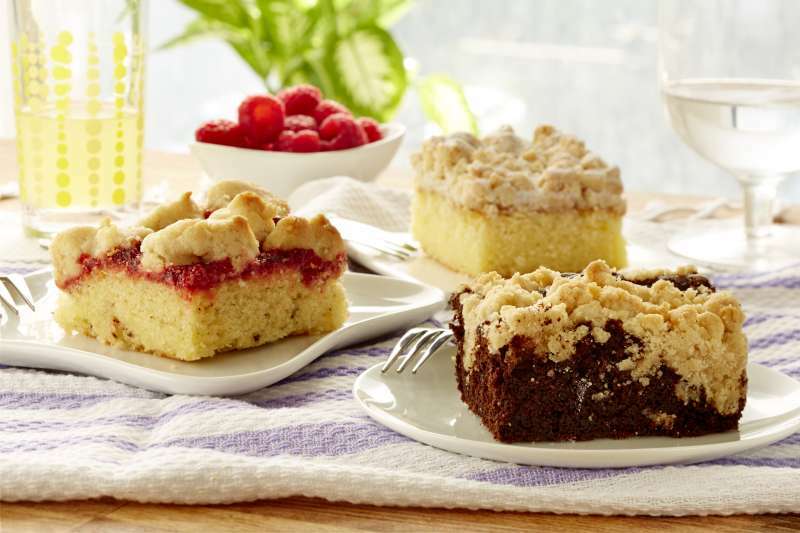 The Variety Pack is a sampling of Four Slices Each of their Crumb, Chocolate, and Raspberry Cakes. Over 3 1/2 pounds of their Delicious Crumb Cakes made from our Old Family Recipe and baked in a 9" by 13" sheet providing 12 slices per sheet. This was absolutely DELICIOUS and I loved each flavor and that I could try all three! If I had to choose, the Raspberry Cake was my favorite! So moist, sweet and flavorful! 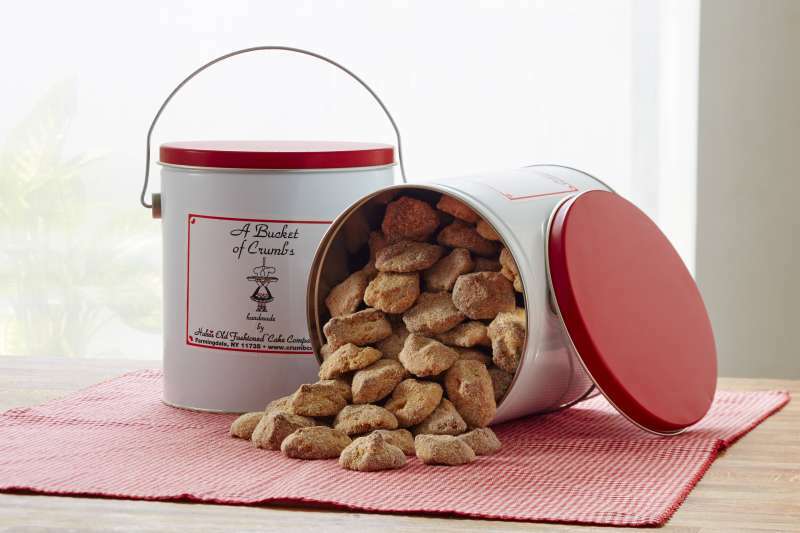 The Bucket of Crumbs is for those who can't resist picking the crumbs off of the delicious crumb cakes. It makes a great holiday gift! You can purchase Hahn’s Old Fashioned Coffee Cake from their online shop.